In between trying to learn all the systems of the "engine room" behind the shop and website, I have been trying to knit one of my favoured complicated patterns in the few spare quiet moments. It takes a certain type of fools-rush-in-where-angels-fear-to-tread attitude to choose a lacy pattern, in variegated yarn, to knit with phones ringing, orders to process and pack and all the other myriad things that make up my actual day job and which have to take precedence! 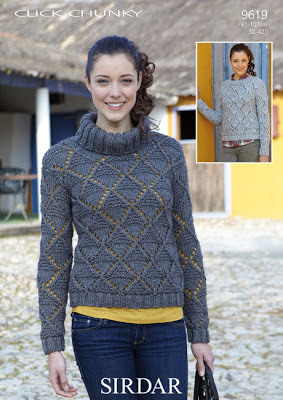 The pattern is Sirdar Pattern 9619: Lace Sweater in Click Chunky. 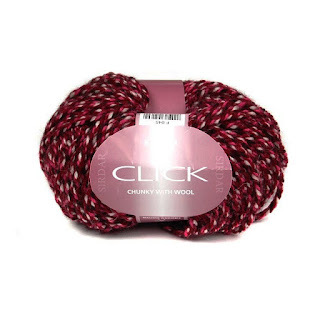 I am knitting it in shade Wild Cherry 169. 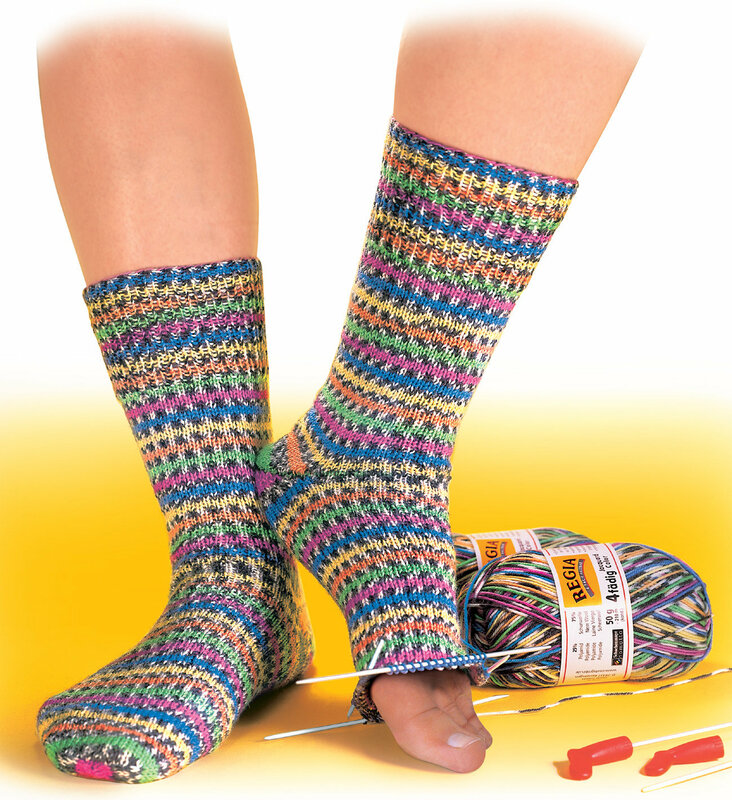 Yes, that's right...it's a free pattern...Tempted? Competition - Where's Uncle Angus?